Could this be the Finns slowly leaving smartphone race? Nokia has admitted it's looking at cutting its premium smartphone output next year, as competition grows from its rivals. The company, which enjoys market leadership in both the smartphone and cheaper handsets for emerging markets sectors, says it needs to protect its assets. "We see ... really fierce competition certainly in the high end, but we also see it in the mid to low end of smartphones increasing," said Jo Harlow, chief of Nokia's smartphone unit according to Reuters. "We will defend our position, but we believe we also have tools to play offence as well as defence." 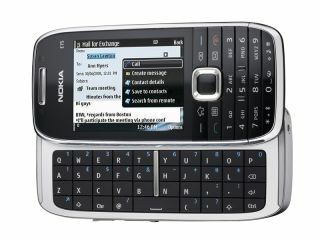 In 2009 Nokia releases around 20 high end devices, including the N97, the 5800 and the E75, but has also dramatically increased its push into cheap phones, which are proving popular in countries with no landline infrastructure. With the likes of Motorola, currently the fifth largest manufacturer, enjoying something of renaissance with the new Dext and Milestone, with more to come, Nokia will be keen to keep pushing on in the smartphone market. But if it comes down to a case of protecting one element of the business, it could be that Nokia might take more of a back seat with smartphones in order to service the rapidly increasing cheaper end of the market.